Now that it’s June it’s really starting to feel like summer. And my favorite things about summer are the warmer weather, wearing sundresses and eating as much watermelon as possible. 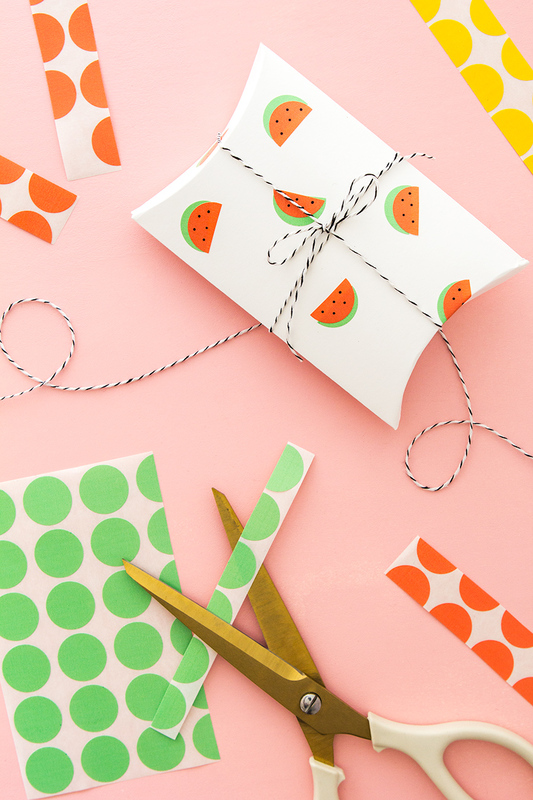 Today I might not exactly be eating watermelon but I’m doing the second best thing—making cute watermelon stickers! These stickers are made from those solid colored circle stickers found in just about every office supply cabinet. 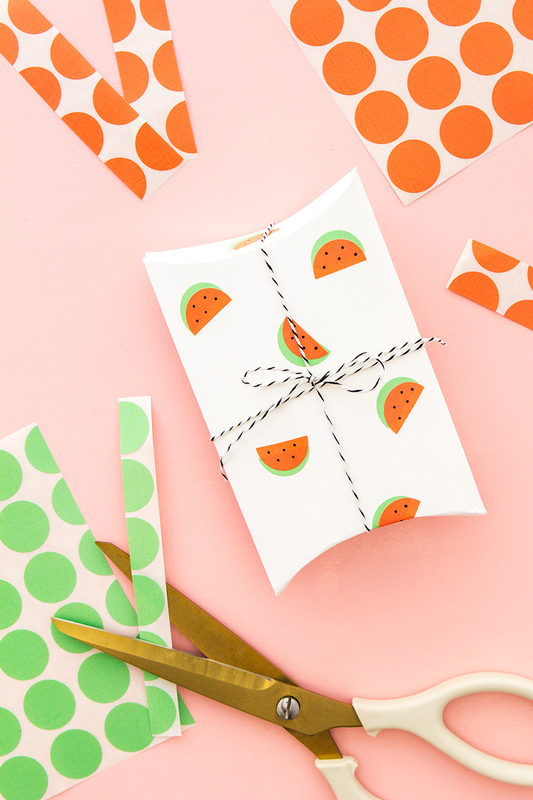 I’m not sure exactly what they are used for (I’ve never had a real office job with lots of filing and such) but I do know they make the most adorable watermelon stickers. I used my labels on pillow boxes, which are perfect for storing candy, gift cards and other tiny treats but they would also be great on cards, journals, and gift wrap. Cut out a gift box using the gift box tool (you can find a step-by-step guide to using this tool here). Before removing the labels from the paper backing, cut them in half. Place the green labels randomly around the outside of the cut out gift box. Place the red, pink, or yellow labels on top, slightly higher than the green labels so it looks like there’s a little bit of watermelon rind showing. Use the black felt tip pen to dot the melons to give the appearance of tiny seeds. 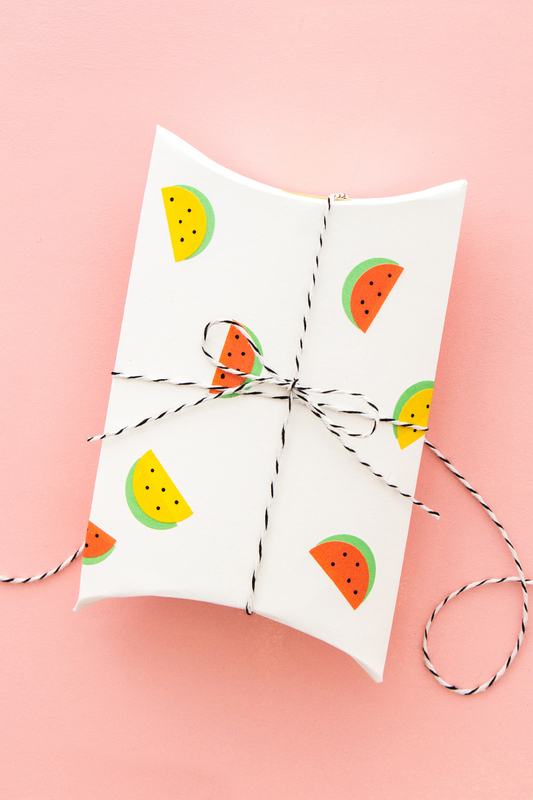 Assemble the gift box and use double sided tape to close one edge. Fill it with whatever fun summer treats you like and then close up the other end. Finish with some cute ribbon or twine. 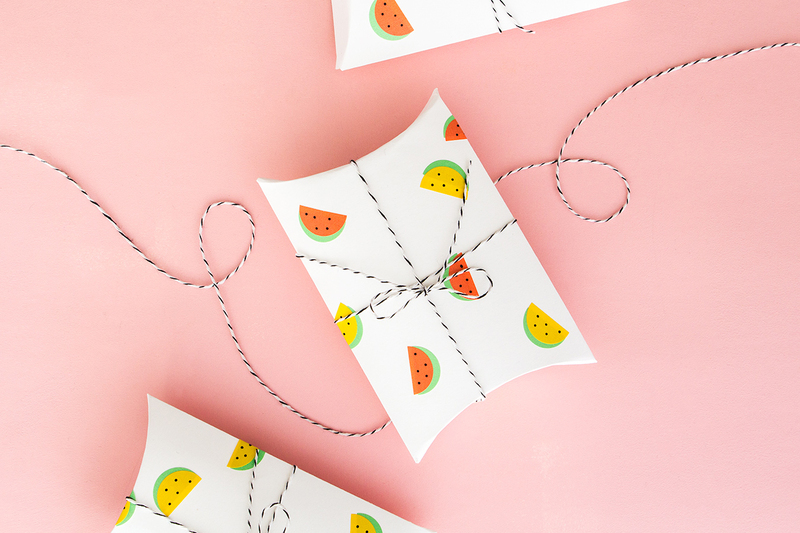 What would you add these cute watermelon stickers too? Leave a comment below and let me know. 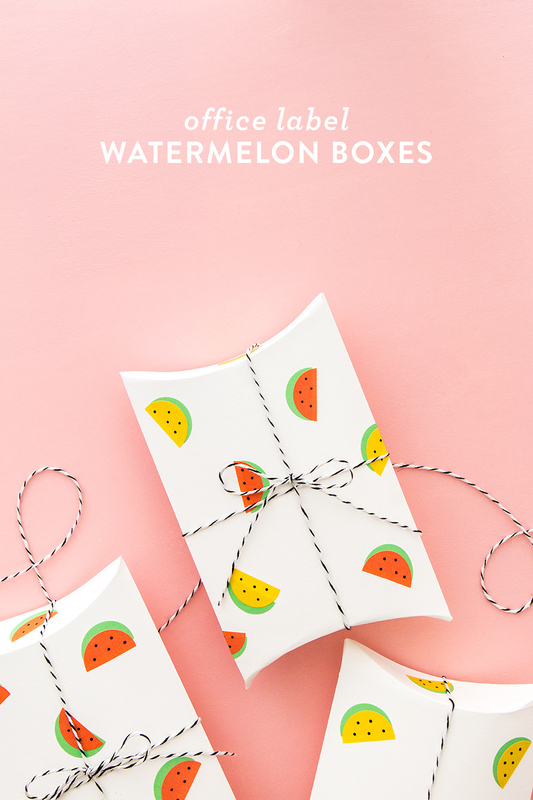 And if you love all things watermelon print, check out my round up of my favorite watermelon items. Aaaahhh, so clever and cute! Love them! What an adorable idea – I love these! Super cute , inexpensive, and just so creative!! Ty!